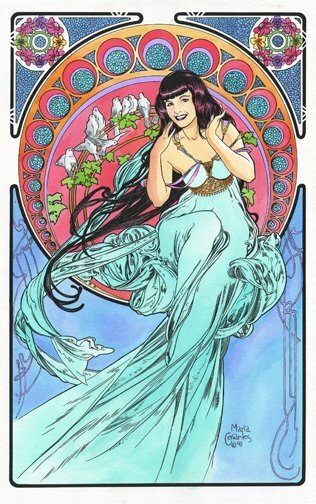 This is awesome...two of my favorite things in the world: Alphonse Mucha and Betty Page. You a fan of Dave Stevens or Olivia? How long did this take?